In Zusammenarbeit mit Philips Semiconductor (heute NXP) in Sunnyvale und der Embedded Systems Academy in San Jose entstand 2002 ein hochperformanter CANopen Chip auf der Basis des Mikrocontrollers PXA C37, einen der ersten 16 Bit Controller mit integriertem CAN. Dieser CANopenIA-XA Chip wird noch heute in komplexen Maschinensteuerungen eingesetzt. Inzwischen ist die neue Generation auf dem Markt erschienen, die auf der Basis eines 32 Bit Cortex M0 mit on-chip CAN noch eine Größenordnung schneller als der Vorgänger ist. Bei den ersten Versuchen, die ein großer Kunde mit den neuen Chips machte, waren die Chips so viel zu schnell, dass wir sie künstlich ausbremsen mussten, um die Tests durchführen zu können. Beide Generationen gibt es auch als Modul, das die wichtigsten Komponenten zum Betrieb des Chips bereits enthält und so dem Board Designer Arbeit abnimmt. Damit Neukunden schnell mit den Chips bzw. Modulen arbeiten können bietet ESS auch ein Starterkit an, das eine schnelle Inbetriebnahme und Test der Funktionen des Chips erlaubt. CiA401 version 3.0 (Device profile for generic I/O modules). 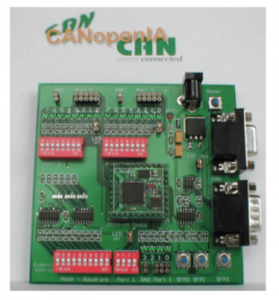 CANopenIA-M0 is based on the NXP Cortex M0 32-bit micro controller. A derivative with integrated CAN transceiver is used to minimize the external components needed around the protocol chip. The Cortex architecture in conjunction with the optimized firmware design results in a very high performance. Time delays between in our outgoing CAN PDOs and hardware events are brought down to 15 micro seconds. a chip or as a module. The module implements around the chip the clock generation, a serial EEPROM to store the configuration data and two LEDs to signal the CANopen state. To become familiar with COIA-M0 a starter kit is available. Entries in the object dictionary, the I/O ports and the SDO and PDO behavior is configured with a straightforward setup tool. The CANopenIA-M0 Module allows integration of the CANopenIA-M0-Chip functions in user’s hardware without taking care about clock generation, EEPROM hardware and the status and error indication. The module can easily be implemented in user’s hardware with a two row 48 pin connector. Components can be placed under the module on the main PCB. With the CANopenIA-M0 Setup Tool all features supported by the CANopenIA-M0 chip are configured in a very easy manner. 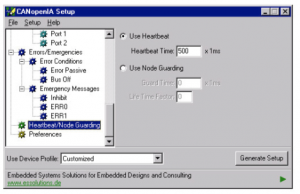 The setup tool generates a data set to be downloaded to the chip and a device configuration file which can be read by third party CANopen bus configuration tools. 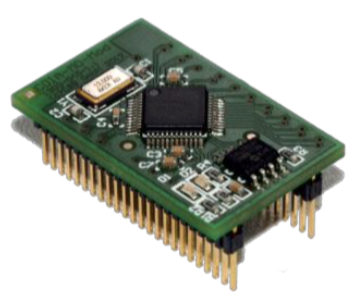 The CANopenIA-XA is a CANopen communication peripheral chip that implements the CANopen protocol compliant to CiA standard DS 301 version 4.01. CANopenIA-XA is based on the Philips XA (eXtended Architecture) 16-bit microcontroller XA-C3 with an extended PeliCAN CAN 2.0B engine optimized for usage with higher-layer protocols such as CANopen. 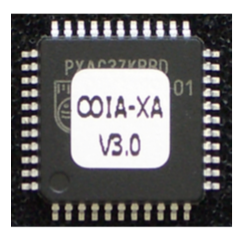 CANopenIA-XA is available as a chip or as a module which implements clock generation and serial EEPROM to store configuration data. To become familiar with COIA-XA a starter kit is available. 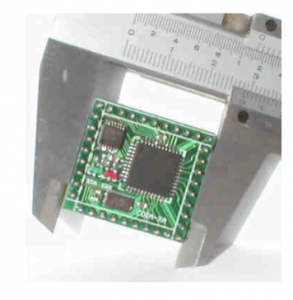 Behaviour of the chip is configured with a straightforward configuration tool, the CANopen- IASetup. Generic I/O node with up to 16 digital and 6 analog channels (4 inputs and 2 outputs). Analog components are connected via the additional SPI port. The CANopenIA-XA Module allows integration of the CANopenIA-XA chip functions in user’s hardware without taking care about clock gen- eration, EEPROM hardware and the status and error indication. The module can easily be implemented in user’s hardware with a 37 pin 2.54 mm grid connector. Components can be placed under the module on the main PCB. 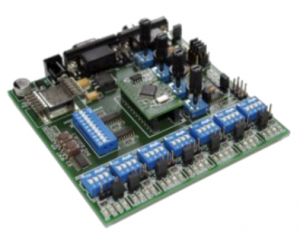 The module includes the COIA-XA chip, the clock generator, the EEPROM to store the setup data and two LEDs to signal status and error information according to the CANopen specification. CANopenIA-XA. Each I/O port pin features both a LED and DIP switch. If used as an input, the switches can be used to stimulate the input. If used as output, the LED displays the current signal state. Three push buttons are connected to the Special Function Pins (SFP) and DIP switches are provided to allow for hardware configuration of the Node ID and the Baudrate. 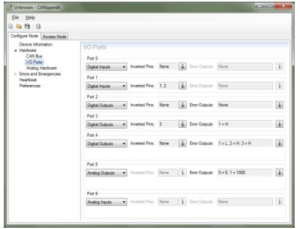 With the CANopenIA-XA Setup Tool all features supported by the CANopenIA-XA chip are configured in a very easy manner. 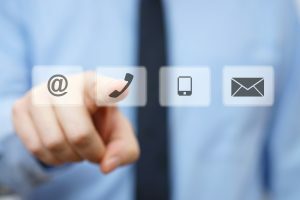 The tool generates a data set to be downloaded to the chip and a device configuration file which can be read by third party CANopen bus configuration tools.